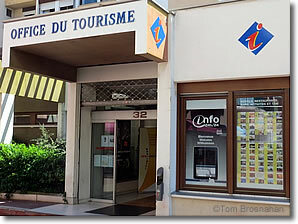 The Colmar Office du Tourisme is in a modern municipal building complex north of place de la Mairie in the northern part of the historic city center (map). It's just a short stroll east and north of the Musée Unterlinden. The office has free Wifi, and gives out free simple city plans (maps) of the city's attractions, including the most interesting walking tour routes. 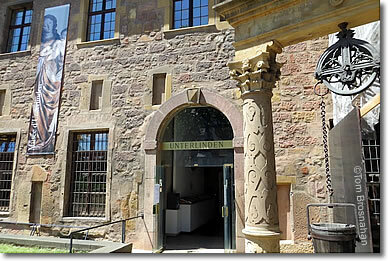 Musée Unterlinden, Colmar, Alsace, France. Office du Tourisme, Colmar, Alsace, France.